The Point-in-Time (PIT) Count is a count of unsheltered and sheltered homeless persons on a single night in January. This estimated total number of homeless persons living in San Diego County helps us understand homelessness trends across our region in order to better help families, veterans, and individuals leave the streets and move into their own homes. Time: 4:00 a.m. – 7:00 a.m. While counts are conducted all across the county, Interfaith Community Services facilitates the Escondido Point-in-Time Count efforts. 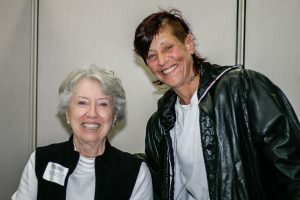 This year, Interfaith needs 50+ volunteers to help us count homeless individuals living in the Escondido region. 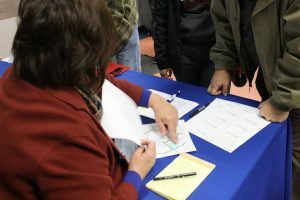 Volunteers will be asked to complete a brief training prior to volunteering. To sign up as a volunteer for this year’s Point-in-Time Count, please click here. If you have questions about the Point-in-Time Count, please contact Holly Nelson at Interfaith Community Services by clicking here or calling (760) 489-6380 ext. 214.